It keeps showing up. Even the smartest, best-informed people still make a huge mistake when it comes to understanding the history of white American evangelicals. The Gipper greets BJU students, 1980. As SAGLRROILYBYGTH know, we’ve been obsessed these days about white evangelicals’ love affair with Trump. In talks and article after article after article, we’ve wondered why white evangelicals support a seemingly amoral leader. We’re not the only ones. Evangelicals themselves such as John Fea and Michael Gerson have wondered about it. And recently John Ehrenreich took another stab at the question. Ehrenreich makes some great points, but he miscategorizes twentieth-century evangelical history. behind the apparent disparity, there exists a psychological kinship between Trumpism and evangelical thought—at least, for white evangelicals. . . . The similarities in their approaches to the world run so deep that I believe that white evangelicals would continue to support Trump even if Roe v. Wade weren’t in the picture. It seems obvious: there is an intense and powerful tradition of Make-America-Great-Again thinking among white evangelicals, a tradition to which Trump makes an intense and powerful (if surprising) appeal. If we really want to understand white evangelicalism in America, it does not help to start and finish with theological notions, IMHO. We need to include the mish-mash of history, memory, nostalgia, and politics that leads many white Americans—including white evangelicals—to yearn for the good old days. Trump appeals to something deep, something beyond tax policy or even abortion policy. Now, I don’t buy Prof. Ehrenreich’s explanation of this evangelical-Trump affinity. He wants to tie the Trump connection to white-evangelical psychology, which seems a little simplistic. by the end of the ’70s, things began to change. The percent of the American population adhering to evangelical beliefs grew rapidly. Right-wing fundamentalist preachers took over organizations such as the Southern Baptist Convention. There was a rapid rise of separatist Baptist churches, proclaiming a fundamentalist theology, denouncing the moral ills of society and communism, and often promoting segregationist views. In 1979, Jerry Falwell joined hard-line conservative activists such as Heritage Foundation and American Legislative Exchange Council co-founder Paul Weyrich to form the Moral Majority, a political action group focused on mobilizing Christians against “secular humanism” and moral decay. Evangelical pastors threw themselves into the political arena and worked for 1980s conservative electoral victories. Simultaneously, largely evangelical white voters in the South shifted rapidly from the Democratic Party to the Republican Party, and American politics as a whole moved sharply to the right. I thought we were beyond this. The facts of Ehrenreich’s historical sketch are basically correct, but taken together they don’t prove that conservative evangelicals got political only in the 1970s. As our leading historians such Daniel K. Williams and Matthew Avery Sutton have demonstrated, white evangelicals ALWAYS were political. Yes, there were progressive and conservative wings, but there was never a “retreat” from politics. As Williams showed, something big really did happen in the 1970s, but it was not that white evangelicals got into politics. They had always been into politics. Instead, what happened was that white conservative evangelicals embraced the GOP as their single political vehicle. Maybe I shouldn’t be surprised. It’s easy to think that white evangelicals retreated from mainstream politics in the 1930s, only to reemerge with a flourish in the Reagan years. After all, it is a story that white evangelicals have told themselves and the rest of us for many years. 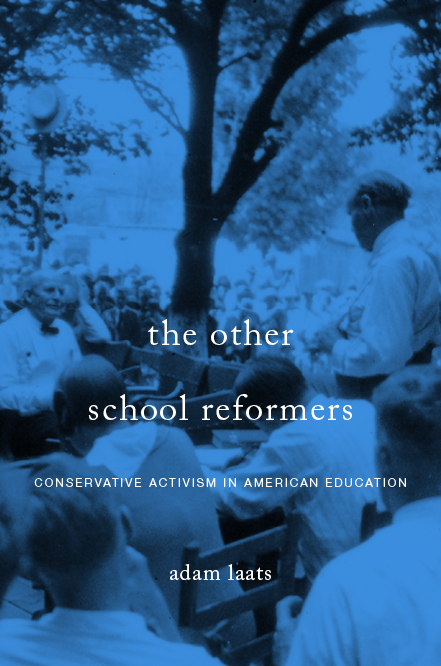 As I point out in my recent book about evangelical higher ed, fundamentalist college leaders often insisted that they and their schools were above politics. should denounce what’s spiritually and morally wrong, and if that means getting into politics, so be it. When Jones said he was “getting into politics,” what he meant was that he was embracing the GOP alone. He might have sincerely thought that he and his school were above politics before that, but it just wasn’t true. Way back to the 1950s and into the 1980s, Junior continued to talk about getting “into” or “out of” politics, but he never meant that he wouldn’t be throwing his political weight around. And he certainly never meant that he was somehow split between progressive and conservative political ideas. For fundamentalists like Jones, going all the way back to the 1910s, Christian politics were always conservative politics. stay away from the polls and let their ship sink. Now, clearly, withholding votes from the GOP is just as political an act as giving votes is. When white evangelicals in the twentieth century talked about staying out of politics, they didn’t really mean it. They didn’t really mean they wouldn’t vote for conservative candidates or mobilize for conservative issues. All they meant was that they weren’t married to one party or the other. When will we stop reading the misleading myth that white evangelicals retreated from politics until Falwell and Reagan?